As a marketer, one of the most satisfying feelings is when you can rely on your existing customers to help grow awareness of your company. 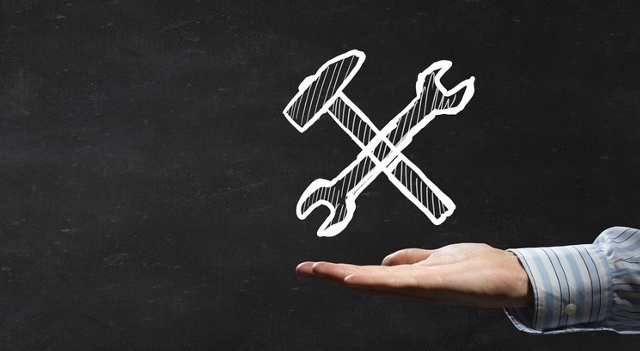 It's a hallmark of inbound marketing—when you deliver quality content that people recommend to their own. However, it doesn't hurt to give your content a bit of a boost by incentivizing your existing customers to spread the good word about your company. One way to do this is to create a contest where you see which evangelist generates the most new interactions with your site. The following article gives you step-by-step instructions for setting up this type of contest, ensuring that your existing customers get proper credit for all the leads they bring in. We'll be using contact properties, a new form, and a new email to help create this process. In order to give proper credit to the customer doing the referring, you'll need to give each customer a unique "referral code." This code will be part of the URL the customer shares and will ensure that any form submissions coming from that URL are attributed to each customer's efforts. The first step in this process will be creating a custom contact property to store your current customers' referral codes. The property field type should be set to "Single-line text." You'll also need to create a custom contact property for your referral form. This property will be a hidden field on the form that captures the referral code in the shared URL. I recommend naming it something like, "Referred By Code"—that way, you'll know that it's related to the "Referral Code" property. This property should also be a "Single-line text" field type. Great job on completing your two new properties. Now on to step three! The next step will be to ensure that each existing customer has a unique value for their "Referral Code." 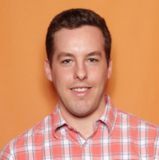 The quickest way to give them unique values will be outside of HubSpot. First, create a list of all of your existing customers (or of all the contacts who will be part of the referral contest). Then, export that list, ensuring that you're only including the Email property in the export. Note: If you want the codes to look more like codes (e.g., making sure that each contact has a multiple digit code), you'll need to use longer consecutive numbers in the first two cells. 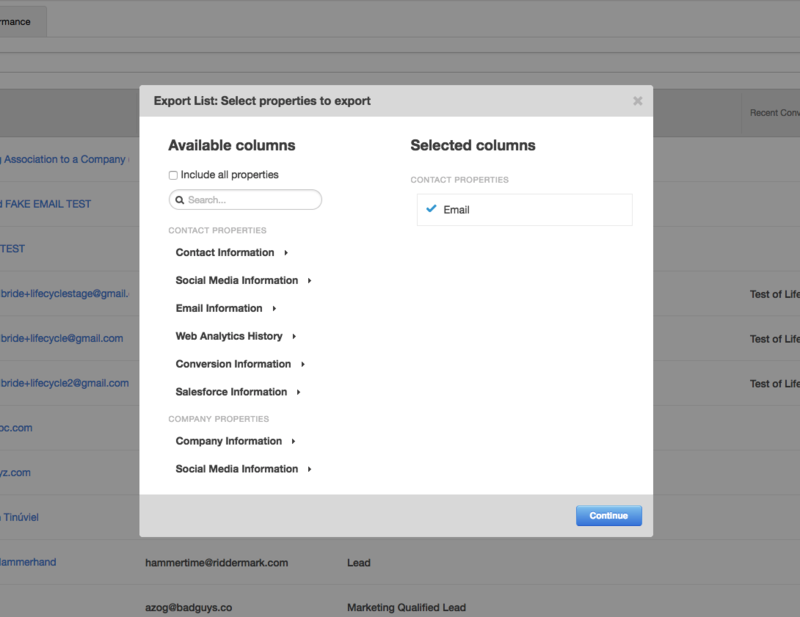 Now that the "Referral Code" column is populated on your spreadsheet, save your file and import it to your HubSpot portal. 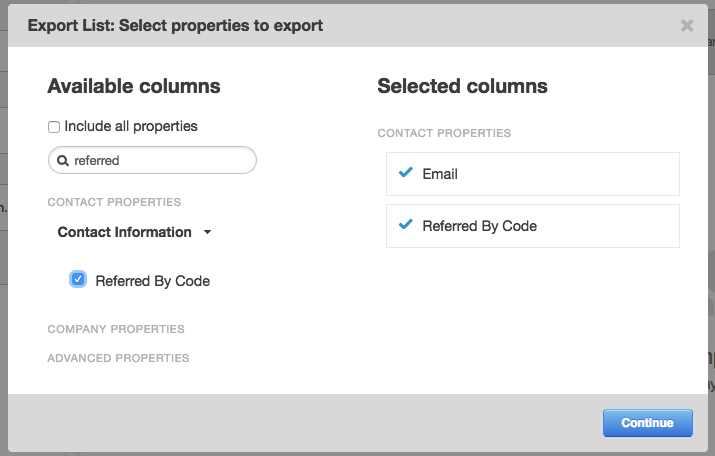 In the import process, you'll need to make sure that your "Referral Code" column maps to the contact property you created in step one. 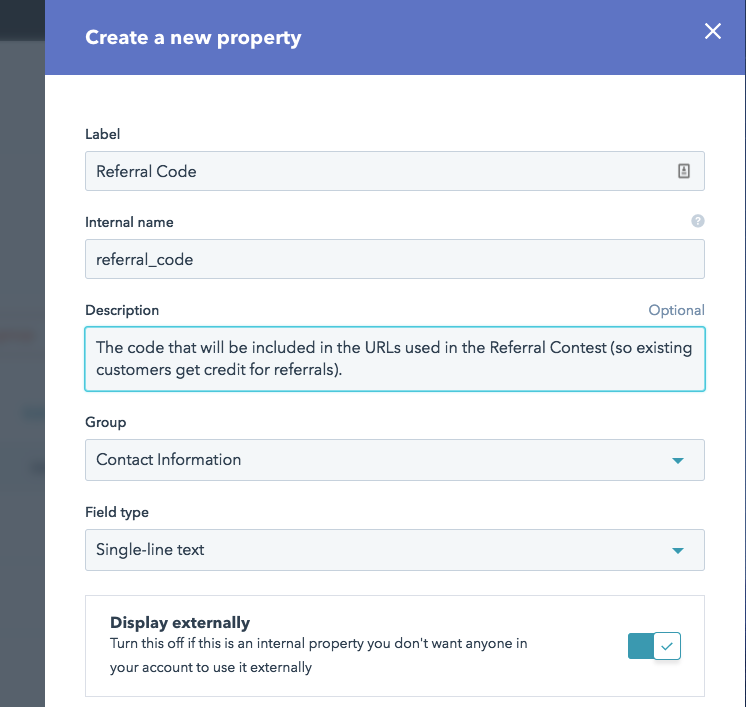 Now that all of your existing customers have referral code values, it's time to focus on building the elements of the actual referral process. These next few steps will focus on creating the content that the referred contacts will see and running the contest itself. The most important element will be the form. 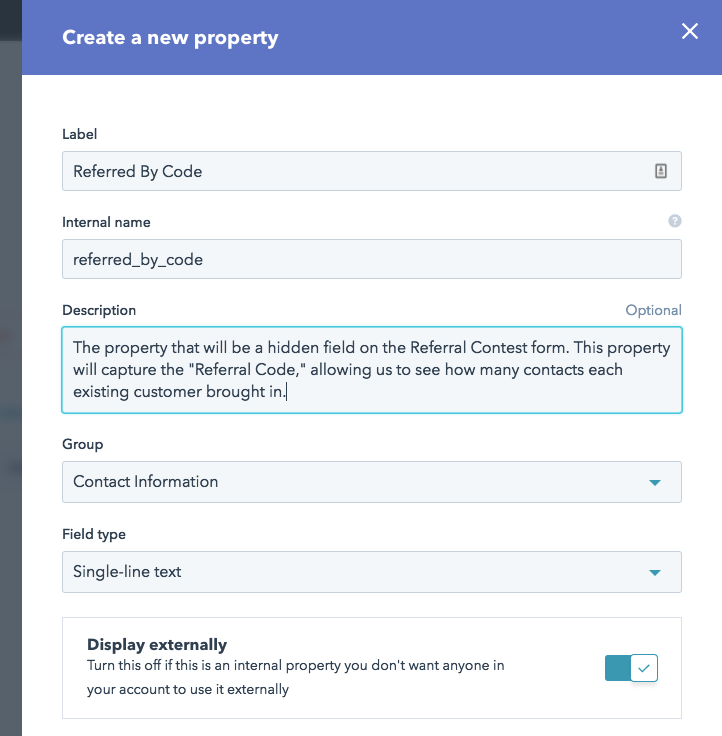 When you create your referral form, you'll need to include the property you created in step two as a hidden field. Once you've created the form with a hidden field, you'll need to add that form to a landing page. Take note of the landing page URL—you'll be using that URL in the next step to give your existing customers a URL to share with their colleagues/friends. We're going to use the process described in this article to populate that hidden field with the existing customer's "Referral Code" value. If it seems a bit confusing, don't worry: the next step will outline exactly how that URL is going to work. You're almost there! In this step, we'll be building the actual referral links that your existing customers are going to share. We'll build those unique links in an email that you can send to all of the contacts who are a part of the referral contest. In your email's body, first write out the URL of the landing page where you've placed the referral form. At the end of the URL add a "?" followed by the internal value for the property you created in step two, and then an "=" symbol. Directly after the equals sign, add a personalization token for the property you created in step one. The result will be a URL that, when a new visitor uses it to get to the landing page, will populate the hidden field on your form with the referrer's unique "Referral Code" value. It's very important that the existing customers copy/paste the URL to share it with people they're referring. They should not forward the email—doing so will attribute clicks on the link to their own contact record and won't actually create new contacts when people submit the referral form. Now that you've built all of the elements for the contest, send out your promotional email to the lucky group of recipients. As your existing customers copy/paste their URL to share with their community, the submissions will start coming in and populating the "Referred By Code" property for new contacts. Now, the next step will require a bit of Excel wizardry, explained under the "MODE Function" section here. Essentially, you will be looking to see which code appears the most in your "Referred By Code" column. 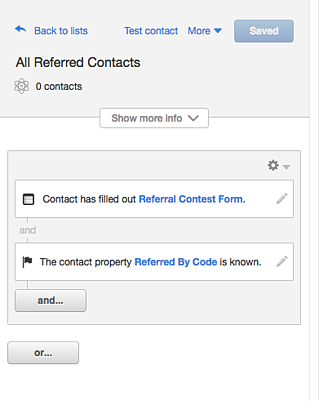 Once you have that winning code identified, you can match it up to the contact by going to the "All Contacts" screen in your HubSpot portal and using the filter, "Referral Code is equal to [code value]." Congratulations—you ran a successful referral contest, and you get to deliver the good news to your winning referrer!